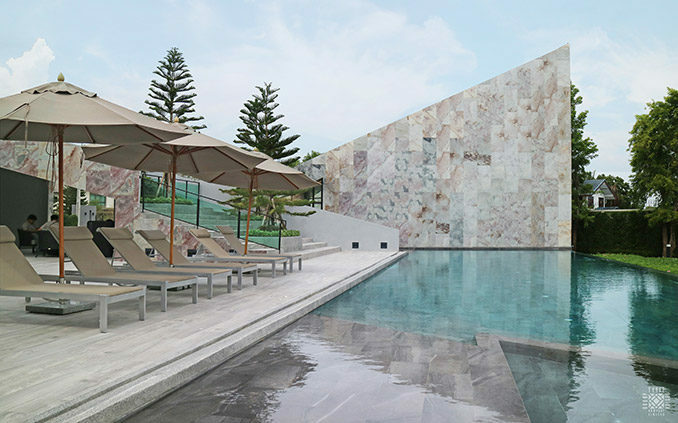 Bangkok Boulevard Sathorn-Pinklao 2 is the 25-acre modern and luxury housing development in Bangkok, Thailand. 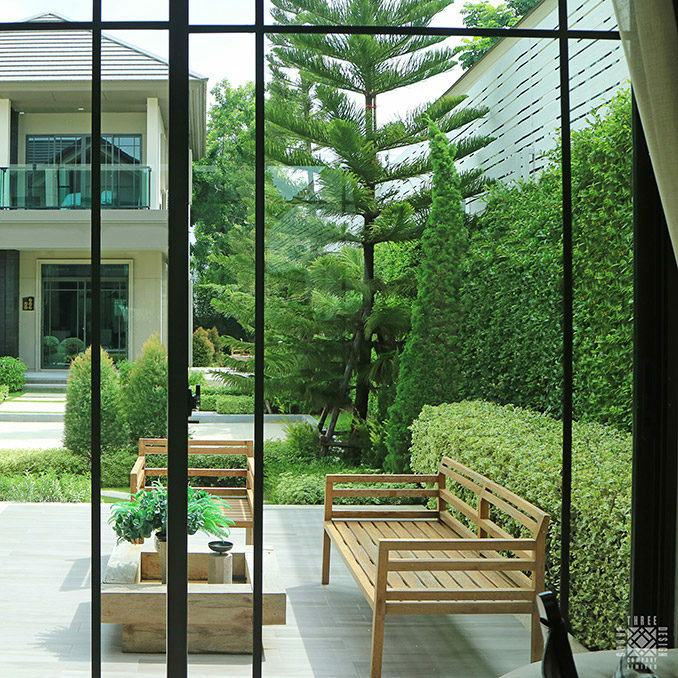 It comes with the big idea of “The Nordic by the River” since it is in waterside location, Klong Mahasawat. 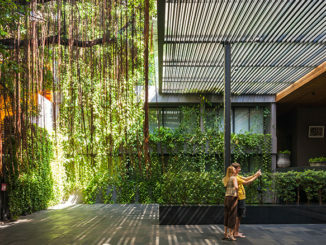 Landscape design is considered through 3 main design concepts, which are Connection Flow, Space Networking, and Slim Line Transition. 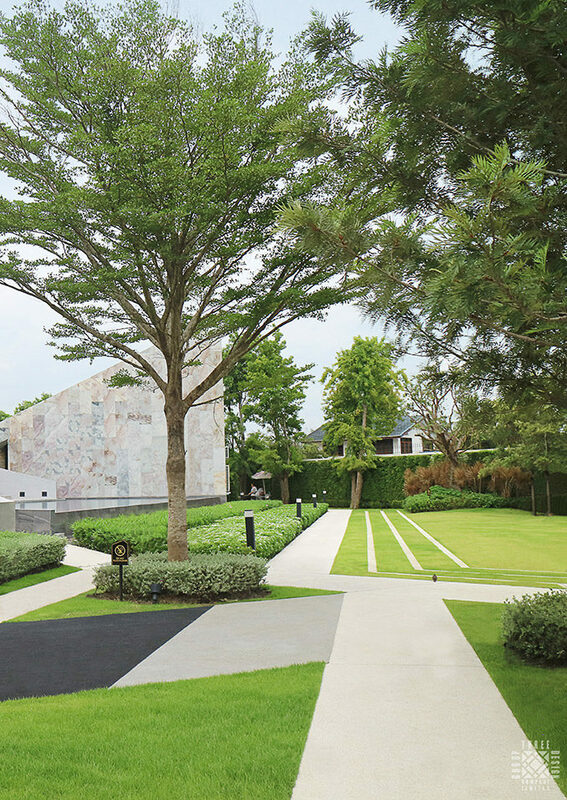 When the residents first entry to the main access road, they would find a relaxing atmosphere from tree canopy and autumn garden with mixed colour shrubs. 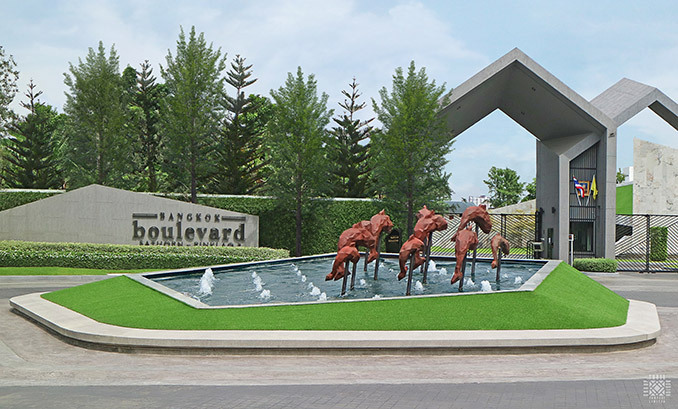 Moreover, the water feature with bronze jumping fish herd sculpture is also ready to welcome them at the motor-court, toward the main gate and security checkpoint. For the waterfront clubhouse, Pine trees are added as a part of the architecture to make the residents recognize Scandinavian (Nordic) atmosphere. 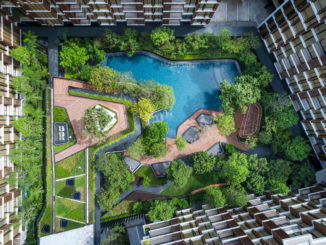 The 1-acre waterside park, including lawn terrace, wooden daybeds, and tot-lot with sitting area, is enclosed by the see-through fences to the water way, so the residents could interact to the natural canal outside while they are having leisure time in the park. 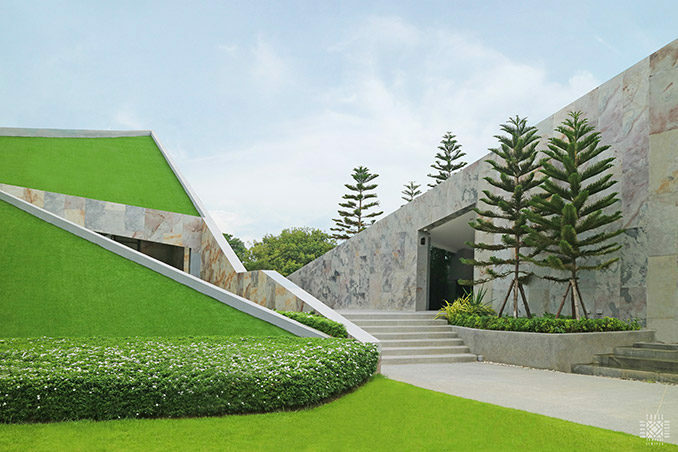 Geometric form also plays an important role, especially as the landscape elements, such as paveway, tot-lot and benches, in order to be blend together with the clubhouse. 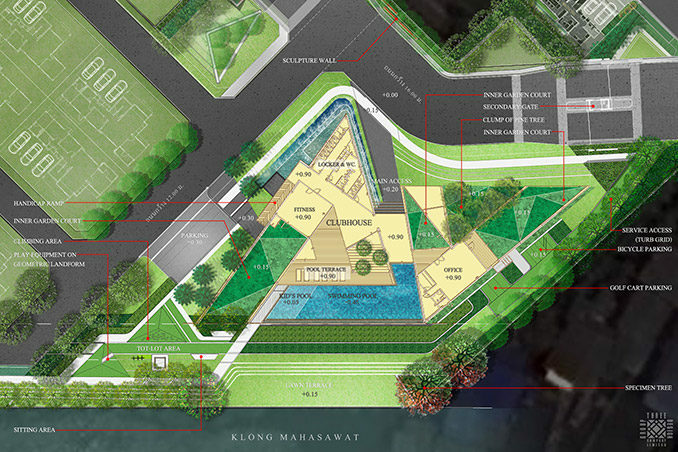 The main park’s design concept is compounded from many natural elements, such us water, mound, meadow, etc. In addition, the elevated terrace is also added to take a high view. 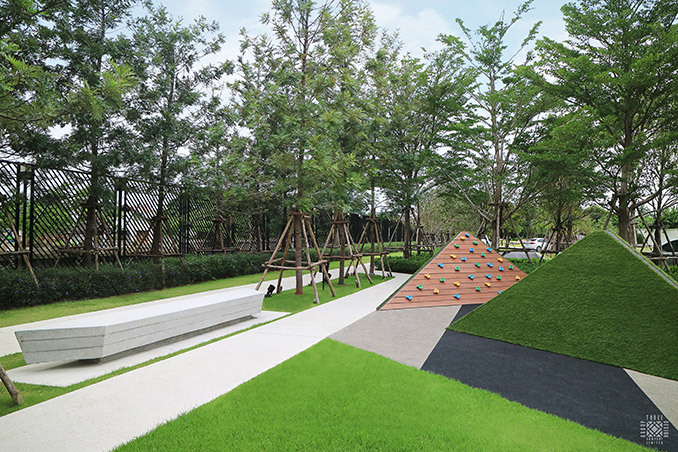 All residents could get various atmospheres from each zone in this neighborhood open space. 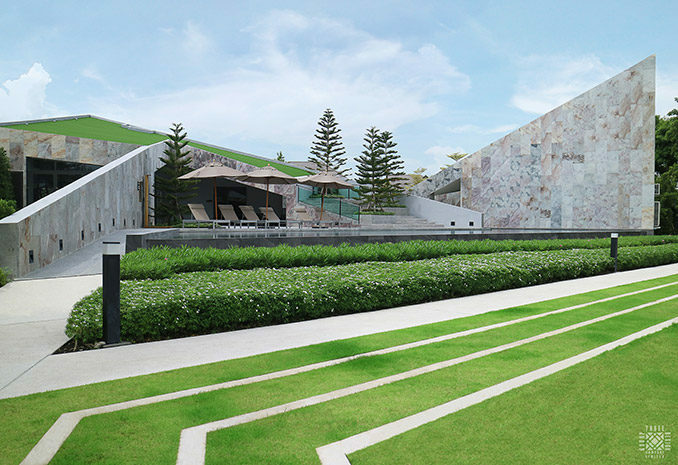 Interesting lines and forms are used to create harmony witin entire project site while the park could provide relaxation and enjoyment to the residents at the same time. Pine trees, topiary shrubs, and other plants that provide the feeling of winter and Scandinavian characteristic are used for the outdoor terrace of show houses. 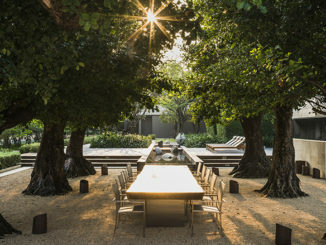 Moreover, wooden furniture sets and other ornaments are chosen in order to make everything look warmer and the residents could enjoy their outdoor living. Client | SC Asset Corporation PLC.